Umberto Nobile’s story is truly incredible, so much so that they made a movie about it called The Red Tent starring Sean Connery. Nobile was a developer and promoter of semi-rigid airships during the Golden Age of Aviation between the two World Wars. 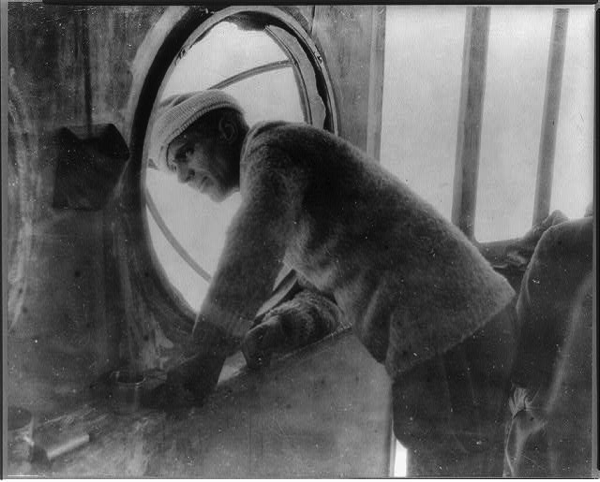 He is primarily remembered for designing and piloting the airship Norge, which may have been the first aircraft to reach the North Pole, and which was indisputably the first to fly across the polar ice cap from Europe to America. Nobile also designed and flew the Italia, a second polar airship; this second expedition ended in a deadly crash and provoked an international rescue effort. USS Nautilus (SSN-571) was the world’s first operational nuclear-powered submarine. She was the first vessel to complete a submerged transit to the North Pole on 3 August 1958. 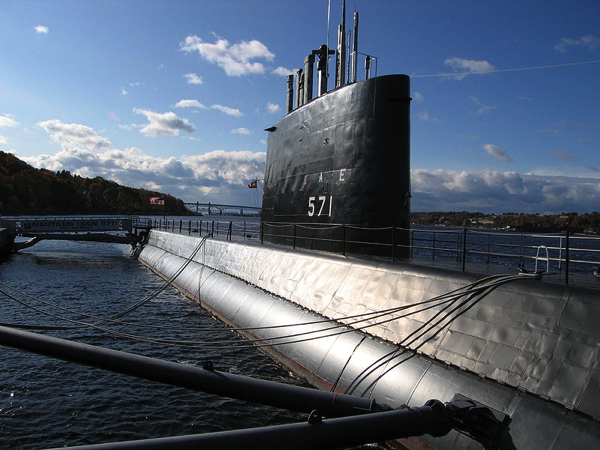 Sharing names with the submarine in Jules Verne’s Twenty Thousand Leagues Under the Sea, and named after another USS Nautilus (SS-168) that served with distinction in World War II, Nautilus was authorized in 1951 and launched in 1954. Because her nuclear propulsion allowed her to remain submerged far longer than diesel-electric submarines, she broke many records in her first years of operation, and traveled to locations previously beyond the limits of submarines. In operation, she revealed a number of limitations in her design and construction. This information was used to improve subsequent submarines. 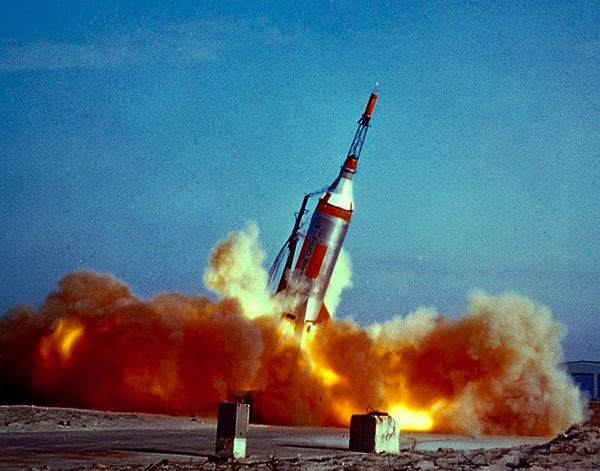 The Little Joe 1B was a Launch Escape System test of the Mercury spacecraft, conducted as part of the U.S. Mercury program. The mission also carried a female Rhesus monkey (Macaca mulatta) named Miss Sam in the Mercury spacecraft. The mission was launched January 21, 1960, from Wallops Island, Virginia. The Little Joe 1B flew to an apogee of 9.3 statute miles (15.0 km) and a range of 11.7 miles (18.9 km) out to sea. Miss Sam survived the 8 minute 35 second flight in good condition. The spacecraft was recovered by a Marine helicopter and returned to Wallops Island within about 45 minutes. Miss Sam was one of many monkeys used in space travel research. The now retired aircraft has its introduction to commercial service in 1976 and continued to fly until it was retired in 2003 due to a downturn in the aviation industry after the 9/11 terrorist attacks. Aérospatiale-BAC Concorde is a retired turbojet-powered supersonic passenger airliner or supersonic transport (SST). It is one of only two SSTs to have entered commercial service; the other was the Tupolev Tu-144. Concorde was jointly developed and produced by Aérospatiale and the British Aircraft Corporation (BAC) under an Anglo-French treaty. First flown in 1969, Concorde entered service in 1976 and continued commercial flights for 27 years. A total of 20 aircraft were built in France and the United Kingdom; six of these were prototypes and development aircraft. Seven each were delivered to Air France and British Airways. 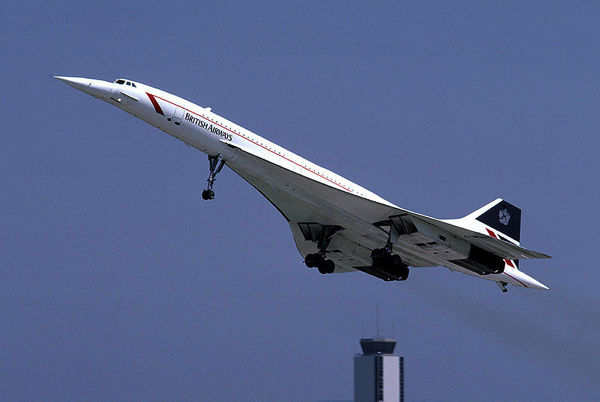 Concorde’s name reflects the development agreement between the United Kingdom and France. In the UK, any or all of the type—unusually for an aircraft—are known simply as “Concorde”, without an article. The aircraft is regarded by many people as an aviation icon and an engineering marvel. Did you know there’s a company in Texas making these again? 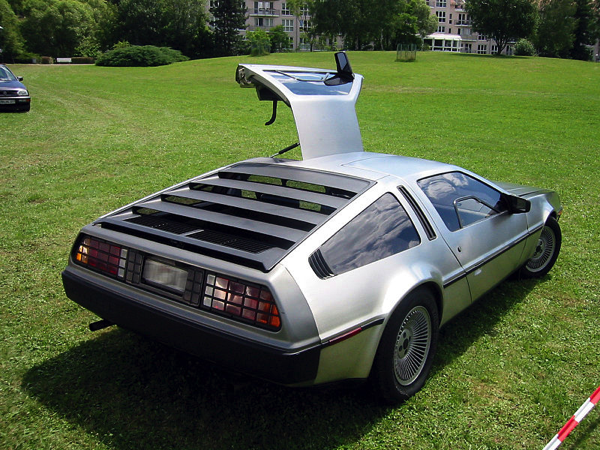 The DeLorean DMC-12 (commonly referred to simply as The DeLorean as it was the only model ever produced by the company) is a sports car manufactured by John DeLorean’s DeLorean Motor Company for the American market in 1981–82. 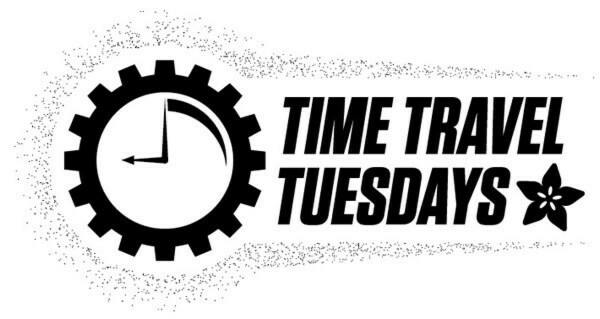 Featuring gull-wing doors with a fiberglass “underbody”, to which non-structural brushed stainless steel panels are affixed, the car became iconic for its appearance as a modified time machine in the Back to the Future film trilogy. The first prototype appeared in October 1976, and production officially began in 1981 in Dunmurry, a suburb of south west Belfast, Northern Ireland (with the first DMC-12 rolling off the production line on January 21). During its production, several features of the car were changed, such as the hood style, wheels and interior. Approximately 9,000 DMC-12s were made before production halted in early 1983. 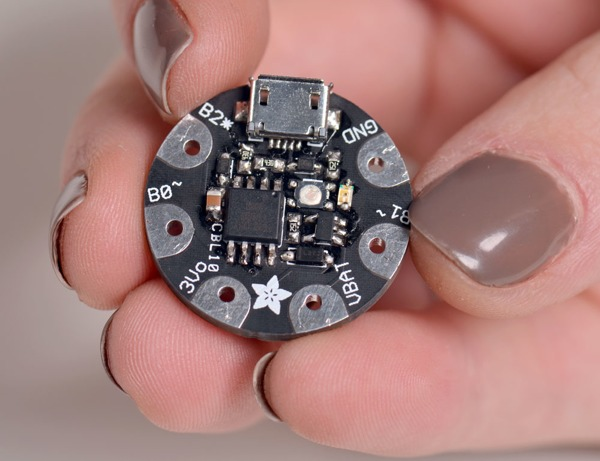 2013 – Adafruit announces the Gemma – miniature wearable electronic platform! Our tiny little buddy Gemma turns 1 year old today! Love Flora but want a bite-sized version? Look no further, Gemma is a tiny wearable platform board with a lot of might in a 1″ diameter package. Powered by a Attiny85 and programmable with an Arduino IDE over USB, you’ll be able to realize any wearable project! Read more and pick up a Gemma here!